Cassville Soccer senior team members were honored at the home game against Hillcrest on October 15. Seven Valleys Soccer Club team hand made for every senior and the team enjoyed pizza and snacks after the game. The boys got a 3-1 win vs. Hillcrest. 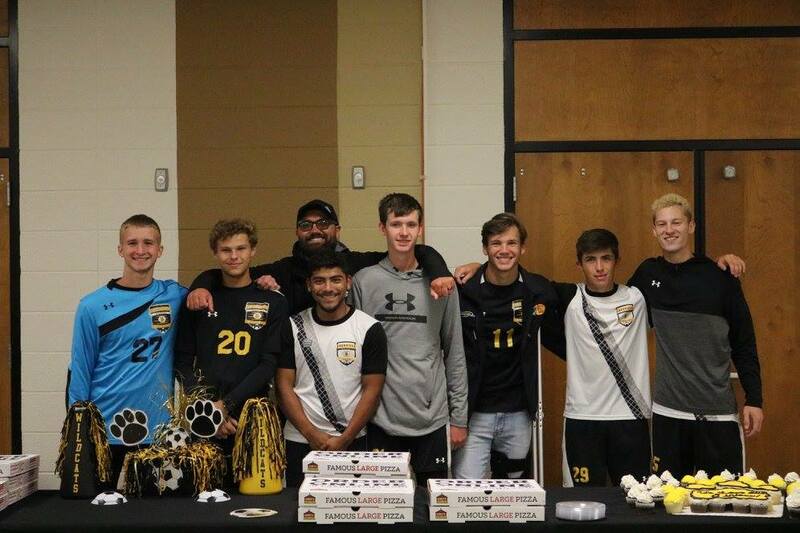 Goals: Parsons x 2 (15), Berndt (14) Assists: Berndt x 2 (10), Parsons (3) Pictured above, from left to right: Vance Supulver, Noah Parsons, Coach Jake Forste (in the back), Luis Lara, Andrew Littlefield, Carter Fletcher, Andrew Berndt and James Okel.